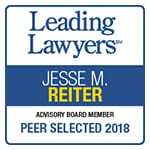 August 1, 2017 /0 Comments/in Birth Injury /by Reiter & Walsh, P.C. 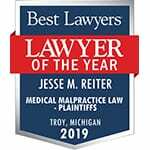 Michigan Lawyers Weekly (MiLW) is a weekly publication that keeps attorneys in the state up to date with the most recent legal news from all across Michigan. This reputable report gives subscribers access to the most current legal news as well as archived articles reaching back all the way until 1993. 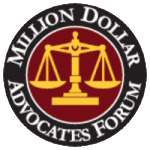 Each year MiLW honors dedicated legal support professionals who have consistently gone above and beyond the call of duty, often behind the scenes. These staff members receive the “Unsung Legal Hero Award.” We’re proud to announce that ABC Law Centers’ office manager, Genevieve Kotasek, received the award this year! View it here. As the firm’s office manager, Genevieve is the glue that keeps our team running smoothly. She manages a team of 15+ full time employees, part-timers, and freelancers with outstanding professionalism, ensuring that all employees feel like true team members. At the office, Genevieve makes sure the firm’s operational, technical, and organizational systems meet and exceed employee’s needs. She is on-call all hours of the day, night, and weekend. She works tirelessly to fix urgent issues from computer crashes to building repairs from torrential rains and flooding. Genevieve balances kindness and flexibility with professionalism and efficiency to ensure that the office runs at top productivity. By bringing us all together, she has cultivated a warm and compassionate work environment that makes our firm one of the best places to work in Metro Detroit. Genevieve is an exemplary employee and is absolutely essential to the operation of Reiter & Walsh ABC Law Centers. Her amazing work ethic and outstanding attitude, along with her innumerable other great qualities, make Genevieve a true unsung hero.